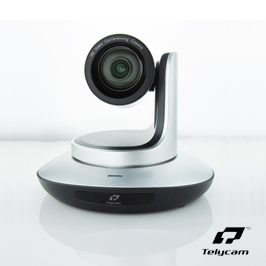 Introducing the TelyCam TLC-700-U3 HD-USB 3.0 & DVI video out PTZ video conference camera. This is by far the best camera we have tested with price and performance…we know this will make your meetings much more productive and boost your efficiency immediately! 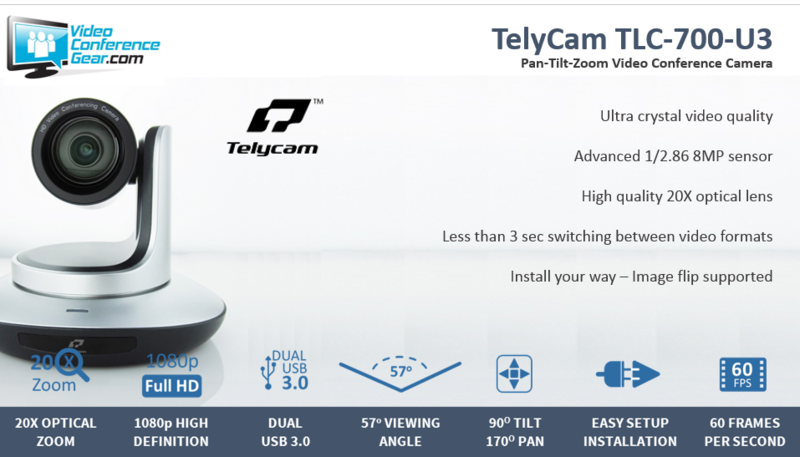 The Largest 57.4 Degree Horizontal Field of View -Perfect for large conference rooms, houses of worship, distance learning rooms to capture a high quality image from great distances. 20x Optical Zoom gives a clear view of even distant faces or props. 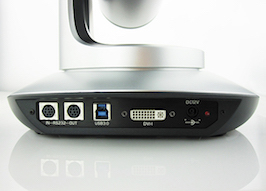 57.4 Degree Horizontal Field of View allows more viewers and participants even in tight spaces.